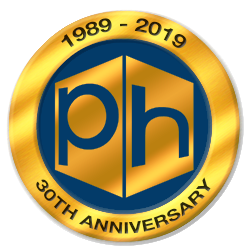 Pearson Holland Management Services Limited was established in 1989 as a general management consultancy for small and medium sized businesses. In 1991 we decided to solely specialise in the legally and technically complex area of Health and Safety Management. As a company we have over 30 years of experience in providing Health and Safety Consultancy which has enabled us to develop effective services, policies and management systems that suit our clients’ needs. We make understanding Health and Safety Legislation easier which helps them to achieve legal compliance. We provide both general health and safety advice and construction related. Following the introduction of the first CDM Regulations we began to specialise in safety advice for construction related companies whilst still maintaining our existing advice for other industries. It’s this level of customer service that sets us apart and enables us to provide our clients with practical help and assistance that focuses on real life situations rather than just paperwork exercises. In addition we assist our clients in demonstrating their competence in health and safety to their current or potential clients. We have clients in a range of industries including but not limited to Construction, Demolition, Shopfitting, Manufacturing, Engineering, Transport, Warehousing and the Printing Industry. Our clients are looked after by our team of experienced and dedicated consultants. They are qualified to industry standards (CMIOSH, NEBOSH or NVQ Equivalent etc.) for Health and Safety to ensure you get the advice and assistance you need in a way that you can easily understand. You can check their credentials by visiting the Occupational Safety and Health Consultants Register (OSHCR). We ensure our consultants are experienced in both general safety advice as well as construction related specifically so they can meet the needs of our client base. With over 25 years of experience in the industry we are able to provide practical advice that's relevant to your industry. Our longest standing clients have been with us for over 20 years which demonstrates our commitment to providing an effective service. Since the introduction of the first CDM Regulations we have found the majority of our clients come from the construction and related industries (Demolition, Shopfitting etc.) due to the additional legislative and competence assessment requirements. However originally the company was established on an Engineering and Manufacturing client base and some of those clients are still with us over 20 years later. We also now have various construction and demolition clients who have been with us over 12 years and have provided advice and assistance on major construction projects throughout the north of England and beyond. Over the years we have prided ourselves on the service we provide and as such our clients are able to demonstrate a positive approach to risk management which has many benefits to their company. As well as complying with legislation there are also moral and financial benefits that arise from the good Risk Management practices of our clients.